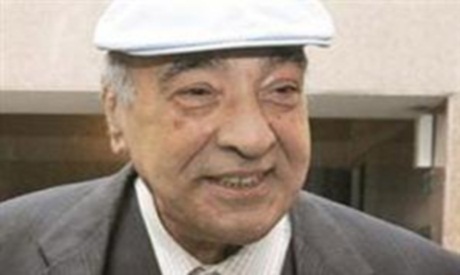 The Egyptian comedy actor has passed away this morning at the age of 74 after spending less than a week in the hospital due to a sudden decline in health. The actors' syndicate made the announcement and indicated that the funeral is to be held today, 24 June in Alexandria. Youssef Guirguis Salib was born in March 1938 in Alexandria and got his degree in engineering in 1960. He worked in that field until 1985, when he started dedicating himself to acting. Dawood has performed in numerous plays, television series and films throughout his career. Most notably are the plays El-Wad Sayed El-Shaghal (Sayed The Servant), El-Zaeem (The Leader), the films Toyour El-Zalam (Birds of the Darkness), Samak Laban Tamr Hendi (Fish Milk and Tamarind), El-Nemr Wal Ontha (The Tiger and the Woman), Karakoon Fil Sharea (Karakoon in the Street) and Omaret Yaqubian (Yacoubian Building). He has garnered numerous awards in cinema and theatre, the last of which being the award of the Catholic Centre for Cinema.